Outbound Chinese tourism has enjoyed explosive growth over the past decade. Self-driving independent tours and off-the-beaten-track destinations are highly in demand. Chinese tourists long for adventure on holidays, seeking out new and custom travel experiences. While adventure holidaying is on the rise, so too are beach holidays. 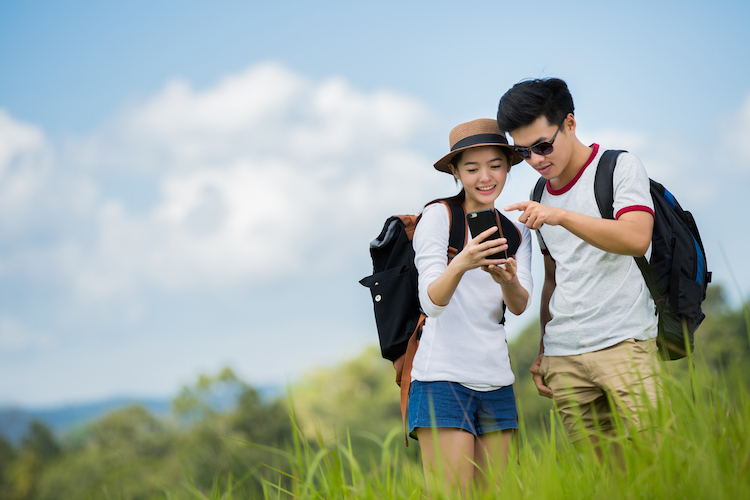 Millennials dominate the self-driving tourist group, whose interests have shifted in recent times from sightseeing and shopping to visiting places of historical interest and experiencing different cultures. The Chinese tourist are curious to learn about new cultures while sightseeing and exploring on holiday. More Chinese tourists enjoy visiting heritage sites, natural landscapes and places of historical importance. While new cultural experiences are important to Chinese tourist, shopping also plays an important part of their holidaying experience. The Chinese tourist enjoys luxury shopping experiences, while also purchasing trinkets & keepsakes for their family back home. While holidaying, most holidaymakers purchase jewellery, clothes, accessories and cosmetics. Luxury hotels are more often the number one choice for Chinese holidaymakers. This type of tourist is willing to pay the top prices for a high level of quality and comfort in top class hotels. Boutique hotels are also becoming very popular amongst younger audiences, while private rentals hold a small percentage of the market. The rise in popularity of social media has hugely impacted tourists’ destination bucket lists. The growth of the internet, social media, mobile applications and mobile payment also provides more convenience for tourists. Chinese holidaymakers like to post impressive travel updates on their social media to wow their followers. These social platforms typically include social networking sites such as Weibo, Youku and WeChat. Chinese outbound tourism is a precursor to Chinese overseas investment and consumption. This will help create a significant number of jobs to destination countries.